Comprehensive Resource Model Basic TrainingThe Comprehensive Resource Model for the Treatment of Complex PTSD provides the neurobiological scaffolding that allows for fear responses to be extinguished while the client is fully present in the moment. The CRM provides the opportunity for re-connection to one’s true self; to the meaning of the truth of one’s life; and to the ability to embody love in one’s actions. Remembering and reconnecting to our internal as well as ancestral resources and joy is as important to this process as is the integration of traumatic and painful memories through the removal of the distressing emotions they have been carrying. 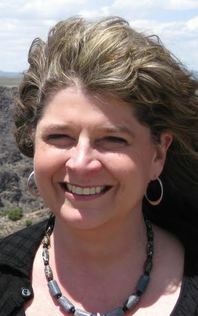 This method of resourcing allows for a healing alchemy: the experience of re-connecting to the innate resources in the soma within the context of our pain allows for the transformation of suffering from emotional and behavioral fight-flight-freeze to the manifestation of our spiritual purpose through action while living in a human, physical body. This is what we desire, what we are looking for, consciously or unconsciously. The focus of the training is the use of internal resources and eye position resource spots across the dissociative spectrum (from the mild, non-life interfering dissociation that we all experience at some point in our lives to Dissociative Identity Disorder). Activating the innate, organic healing energy grid within the body, enhancing dormant neurobiological attachment processes/attunement, and identifying and connecting with core self and spiritual essence allows for the power and augmentation of one’s potential to heal and be healed. CRM has a number of influences and antecedents. In CRM, eye position is used to anchor positive physiological states such as those induced by attunement and attachment, connection to true self, and mindfulness to energetic activity in the soma. This allows processing of traumatic material without decompensation through flooding or other overwhelming experience. Another antecedent is ego state therapy. Each ego state involved in a particular therapeutic task is resourced in a way that allows natural processing to flow. New information can then emerge, allowing the client to orient to the past experience from a fresh perspective where new truths can unfold organically. The entire therapeutic session is based in somatic attunement – a deep awareness of the client’s body state encouraged by the therapist’s mindful focus on self and client. Practitioners of all therapeutic approaches may find it particularly useful to add the CRM techniques to their particular modality. 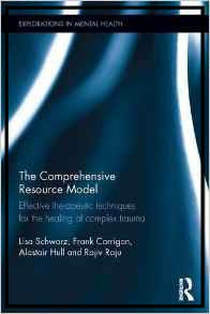 The Comprehensive Resource Model for treating posttraumatic disorders resulting from early attachment trauma and/or subsequent abuse is derived from a number of sources and also includes original material.. CRM was also heavily influenced by the trauma model described by Colin Ross (1997) which includes cognitive restructuring and psychodynamic insights. CRM includes new and original perspectives and techniques and has a step-by-step approach defined in written protocols so that psychotherapists can be trained in the application of this.